Grove Fresh idea 2 Presentation Board! Here it is.. the finished design idea 2 presentation board. I have put in every colour i used and the gradients too with the CMYK values for the colours. I have also listed the typefaces used in the design and showed the main logo. Take a look and please leave a comment with your opinions. 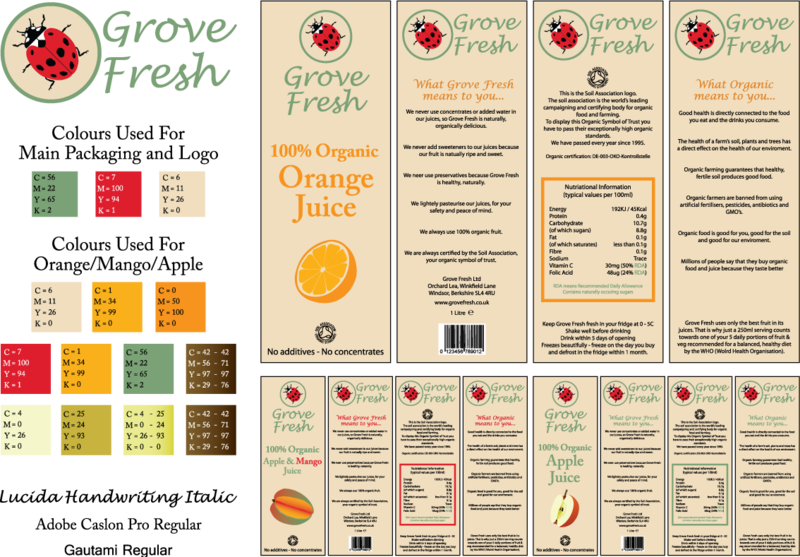 Grove Fresh idea 1 Apple version! 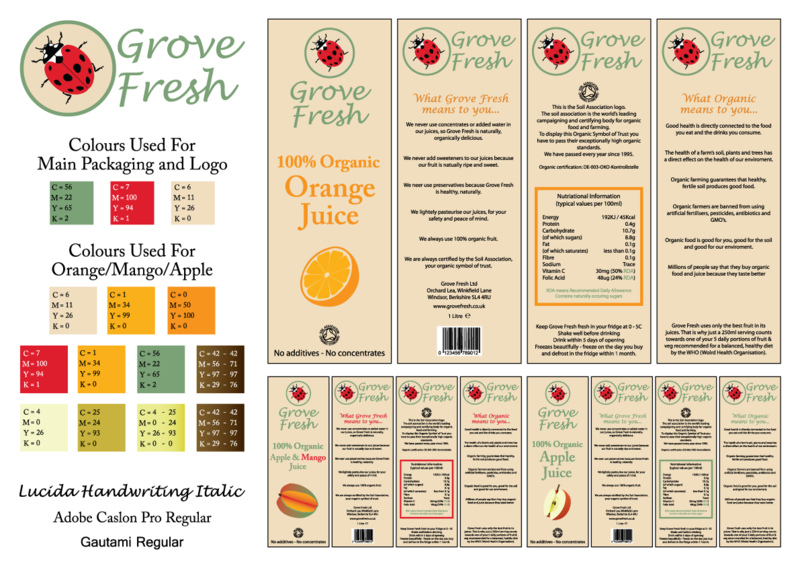 Grove Fresh idea 1 Presentation Board!